Visiting Research Scientist, Centre for Spatial Information Systems, C.S.I.R.O., Canberra, Australia, July-August, 1988. Visiting Professor, Department of Geography, Oregon State University, Fall, 1987. Visiting Faculty Research Cartographer, National Mapping Division, U.S. Geological Survey, Reston, Virginia, July, 1981. Harold Moellering is currently Professor of Geography at Ohio State University. He is also Director of the Department's Numerical Cartography Laboratory. 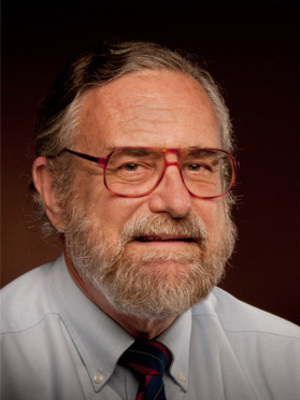 He is past Chairman of the ACSM Committee on Automation in Cartography and Surveying and has served as a member of the Committee on Cartography of the U.S. National Academy of Sciences/National Research Council. He serves a member of the Editorial Boards of the Cartography and Geographic Information Systems and the International Journal of Geographic Information Systems. The Spatial Data Display Project was founded by Prof. Moellering in 1986. The fundamental goal of this project is to develop new approaches to cartographic visualization in two and three spatial dimensions and enhance some existing strategies. To date the project has extended a simplified approach to bivariate statistical surface shading, developed an entropy model for analytical surface shading, worked with 3-D stereoscopic visualization of cartographic surfaces, and invented the MKS-ASPECTTM process for color surface rendering. This MKS-ASPECTTM development has two patents issued for this color surface rendering process. Work on this project is continuing. He is founder and past Chairman of the U.S. National Committee for Digital Cartographic Data Standards in cooperation with the American Congress on Surveying and Mapping, the U.S. Geological Survey and the U.S. National Institute for Standards and Technology. This committee developed the scientific heard of the Spatial Data Transfer Standard, which has been approved as Federal Information Processing Standard (FIPS) 173. For his leadership and direction of the National Committee he was presented in 1988 with the John Wesley Powell Award for Citizen's Achievement by the U.S. Geological Survey and the Ameritech Prize for Excellence in Communications. The Committees were also awarded the Australian Institute of Cartographers/BHP Engineering award for Technology Research and Development in 1988. In 1989 the standard was chosen for the Andrew McNally award for the ACSM publication "which does the most to promote the theory and practice of cartography". He is also Chairman of the ICA Commission on Standards for the Transfer of Spatial Data which is looking at such standards on a world-wide basis. He is a member of the American National Standards Institute Committee X3L1 (Geographic Information Systems), and of the American Congress on Surveying and Mapping Standards Committee. He has presented many papers at the ICA Congresses and other international meetings in the past decade. His research specialties include numerical, analytical and dynamic cartography, and geographic information systems. 1994 with J. Kimerling, Ohio State University Research Foundation was granted U.S. Patent No. 5,283,858, CONTINUOUS HIERARCHICAL SLOPE-ASPECT COLOR DISPLAY FOR PARAMETRIC SURFACES on February 1, 1994. This patent is a result of work conducted by Dr. Moellering's Spatial Data Display Project. 1991 with J. Kimerling, Ohio State University Research Foundation was granted U.S. Patent No. 5,067,098, SLOPE-ASPECT COLOR SHADING FOR PARAMETRIC SURFACES, on November 19, 1991. This patent is a result of work conducted by Dr. Moellering's Spatial Data Display Project. 1995 with O'Kelly, et.al., September, 1995, National Science Foundation, $163,797, "Acquisition of a Departmental Research Network for the Analysis of Spatial Data Sets". 1993 November 2, 1993, OSU Instructional Computing Advisory Commit- tee, $50,000, "Numerical Cartography Laboratory Instructional Equipment Update Proposal - Phase I". 1990 September 1 to June 30, 1991. Ohio State University Matching Grant, $9,900, "Investigation of a High Performance Workstation for Spatial Data Display"
1989 September 1 to August 30, 1990. NASA Real-Time Satellite Mapping Grant, $66,000, "Spatial Data Display, Year 4". 1988 September 1 to August 30, 1989. NASA Real-Time Satellite Mapping Grant, $84,000, "Spatial Data Display, Year 3". 1988 August. Tektronix Inc., $141,113, equipment contribution as NASA Center commercial partner to participate in the Spatial Data Display Project. 1995 Spatial Database Transfer Standards: Characteristics for Assessing Standards and Full Descriptions of the National and International Standards in the World, H. Moellering and R. Hogan, Eds., London: Elsevier Science Ltd., in press. 1994 Technical Characteristics for Assessing Standards for the Transfer of Spatial Data and Brief International Descriptions, H. Moellering & K. Wortman, Eds., ICA Technical Report, ICA Commission on Standards for the Transfer of Spatial Data, 98 pp. + vi. 1994 Continuing Research Needs Resulting from the SDTS Development Effort, Cartography & Geographic Information Systems, in press. 1993 MKS-ASPECTTM - A NEW WAY OF RENDERING CARTOGRAPHIC Z SURFACES, Proceedings, 16th International Cartographic Conference, Vol. 1, pp. 675 - 681. 1992 Opportunities for Use of the Spatial Data Transfer Standard at the State and Local Levels, Cartography & Geographic Information Systems, Special Issue, 19(5), pp. 332 - 334. 1991 Spatial Database Transfer Standards: Current International Status, editor, London: Elsevier Applied Science, 235 pp. + index. 1992 The Rendering of Hydrographic Features Using the MKS-ASPECTTM Color Surface Rendering Process, Proceedings, ACSM 52nd Annual Convention, Albuquerque, pp. 175-78. 1991 Stereoscopic Display and Manipulation of Larger 3-D Cartographic Objects, Proceedings, 15th International Cartographic Conference, Volume 1, pp. 122-129. 1991 Scientific Aspects of Spatial Data Exchange Standards, Wiener Schriften zur Geographie und Kartographie, Band 6, pp. 74-87. 1991 Analytical Cartography, Guest Editor, Special Content Issue of Cartography and Geographic Information Systems, 18(1), 77 pp. 1990 3-D Stereoscopic Surface Exploration in Interactive Real Time, Proc. of the 4th International Symposium on Spatial Data Handling, Zurich, Switzerland, Vol. 2, pp. 381 - 389.